Discovering new canonical structures in set theory such as, for example, the Hausdorff gap or the Aronszajn tree are rare phenomena. This is particularly true when the structures are not countable due to the fact that the set-theoretic independence results are much more frequent in that realm. Characteristics associated to walks on ordinals have shown to be a powerful technology in discovering and describing canonical structures of set theory. This lecture will present some of the best known such characteristics together with the canonical structures they lead to. Professor Todorcevic obtained his Ph.D. in 1979 in Belgrade and currently holds a Canada Research Chair at the University of Toronto. His contributions to set theory made him a world leader in this topic with a particular impact on combinatorial set theory and its connections with topology and analysis. His work is recognized for its striking originality and technical brilliance. He was an invited speaker at the 1998 ICM in Berlin for his work on rho-functions. He made major contributions to the study of S- and L- spaces in topology, proved a remarkable classification theorem for transitive relations on the first uncountable ordinal, made a deep study of compact subsets of the Baire class 1 functions thus continuing work of Bourgain, Fremlin, Talagrand, and others in Banach space theory. Together with P. Larson he completed the solution of Katetovs old compact spaces metrization problem. Among the most striking recent accomplishments of Todorcevic (and co-authors) are major contributions to the von Neumann and Maharam problems on Boolean algebras, the theory of non-separable Banach spaces, including the solution of an old problem of Davis and Johnson, the solution of a long standing problem of Laver, and the development of a duality theory relating finite Ramsey theory and topological dynamics. 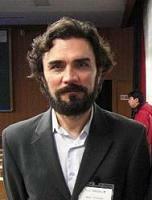 Todorcevic is an organizer of the Fall 2012 Fields Thematic Program on Forcing and its Applications. The Fields Institute, located in Toronto, is recognized as one of the world's leading independent mathematical research institutions. With a wide array of pure, applied, industrial, financial and educational programs, the Fields Institute attracts over 1,000 visitors annually from every corner of the globe, to collaborate on leading-edge research programs in the mathematical sciences. The Fields Institute is funded by the Natural Sciences and Engineering Research Council, the Ontario Ministry of Training, Colleges and Universities, seven principal sponsoring universities, sixteen affiliate universities and several corporate sponsors. The CRM-Fields-PIMS prize is intended to be the premier mathematics prize in Canada. The winner receive a monetary award, and an invitation to present a lecture at each institute during the semester when the award is announced. The prize recognizes exceptional achievement in the mathematical sciences.